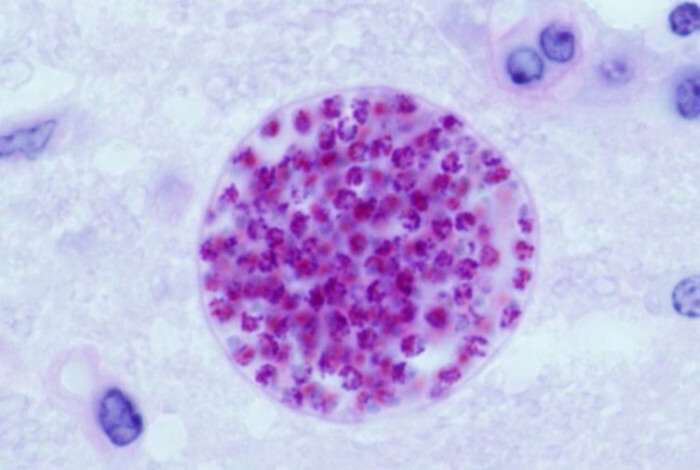 Toxoplasmosis is a protozoal infection that causes serious illness in the unborn infant and in those who have reduced resistance, like aids sufferers, who may grow encephalitis as an effect of this disease. Cysts of the parasite are excreted in the faeces of cats and can be passed to people by direct contact with cats or by handling cat litter. Another source of disease is uncooked or undercooked meat of animals that have eaten cysts from the faeces of infected cats. Generally in most individuals, the disease will not cause symptoms because the protozoal cysts are dormant. If a girl grows toxoplasmosis while she’s pregnant, the parasites may infect the fetus and cause blindness. Generally, no treatment is required, although pyrimethamine and antibiotics may be prescribed for people who have decreased resistance or pregnant girls. Individuals with decreased resistance may must take the drugs for life to prevent reactivation of cysts. Disease can be prevented by preventing contact with cats, wearing gloves to handle cat litter and for horticulture and by not eating undercooked or uncooked meat.